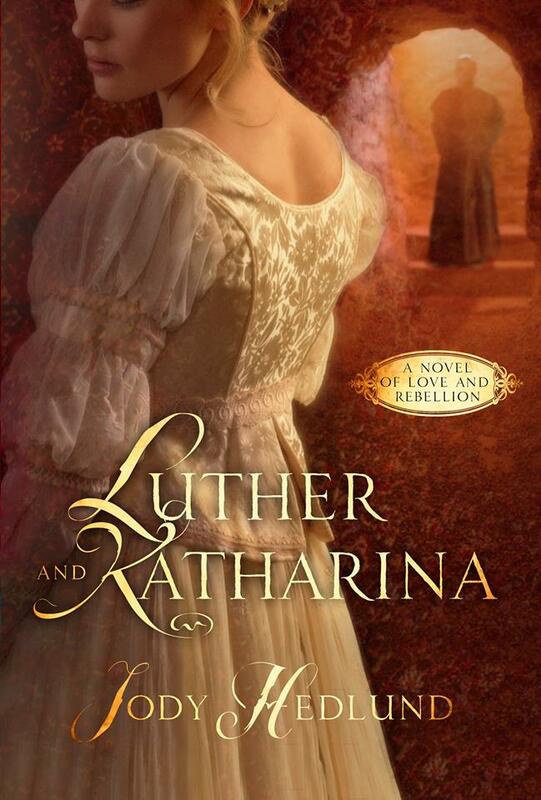 Luther and Katharina, by popular Christian novelist Jody Hedlund, is a fictional account of how Martin Luther and Katharina von Bora met and married. I had high hopes for this book because, from what I have learned of them over the years, both Martin and Katie were unusual, strong-minded individuals who made difficult decisions and lived through some extraordinary circumstances. I knew that a fictional retelling of their lives could be fascinating, thought-provoking, and inspiring. Having read a few non-fiction biographies of them both years and years ago, I was eager to see what kinds of deeper insights a novelization could provide. I was hoping for a book about a real relationship instead of yet another formulaic romance. Luther and Katharina begins promisingly, following Katie as she flees the convent where she has lived since a child. She and several other nuns have read Luther's writings in secret, and some of them have been severely punished for daring to do so. Luther, himself a former monk, insists that married life as a layman is no less holy than serving God in a monastery or nunnery. He has been adjuring monks and nuns to leave monastic life if they feel a desire to marry and start families, and many do so. Roman Catholic officials see their power threatened and strike out toward any monks and nuns who might be trying to rejoin the world. The first few chapters of the book are like a suspense novel, as Katie and her friends elude their would-be captors several times on their way to Wittenberg, where Dr. Luther teaches, preaches, and lives. Hedlund expertly illuminates the world of Reformation Germany--her details and descriptions are evocative and realistic. I greatly enjoyed the way she wrote about the physical world around the characters, as well as the current events such as the Peasant's Revolt. And her characters are also well-rounded. In addition to Katie and Martin, many other names from history, like Phillip Melancthon and Justus Jonas, are attached to fully-realized, interesting characters. However, for the most part, the characters bearing those names felt much too modern in their thoughts, actions, and attitudes. Now, I'm not adverse to tossing some modernity into a historical story to help present-day audiences understand how people long ago were similar to people today. However, Martin and Katie in particular could have been interchanged with any longing-to-be-together-but-having-lots-of-misunderstandings couple from any romantic novel you can think of. They felt too much like standard romance characters who happened to share names and circumstances with a couple of historical figures. Also, I can't recall ever reading anything that even implied that Katie's first suitor, Jerome Baumgartner, was only courting her because he was a womanizer who wanted to deflower the former nun. I'm afraid this book felt like yet another sensationalization of a true story. It dismisses the truly interesting depth and richness of the people involved in favor of more conventional development. All of which means that overall, I was disappointed by Luther and Katharina. Technically, it was well-written, but it felt too much like any other Christian historical romance. 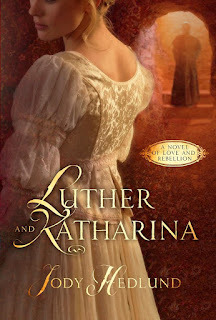 I wanted to learn about how the strong-willed, salty-tongued, endlessly intelligent Martin Luther came to marry equally strong-willed, fiercely practical, outspoken Katharina von Bora. Instead, I got two lonely, conflicted people who spent far too much time necking and thinking about physical intimacy. I was uncomfortable with how much detailed sensuality was included. Hedlund never quite crossed the line into eroticism, but she came awfully close several times. If you're a fan of Christian historical romance and think of this not as a novelization of the relationship between two very real and unusual people, but simply fiction, it's probably a fine book. But for me, it deviated too far from what I have learned about the real Luthers to enjoy the changes Hedlund has made. Rachel Kovaciny was homeschooled K-12, then attended Bethany Lutheran College for four years. A month after graduating with a BA in Liberal Arts, she married her first and only boyfriend. Now she passes the time by reading, writing, baking, watching movies, crocheting, blogging, and homeschooling her three children. Her least-favorite activities include house-cleaning and wearing shoes, and she's been known to go to great lengths to avoid both. 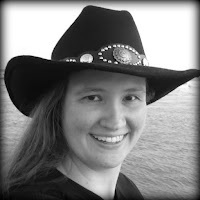 Rachel is a regular contributor to the online magazine Femnista, and she blogs under the nom de blog "Hamlette" about books at The Edge of the Precipice, and about movies, writing, and life at Hamlette's Soliloquy. Thanks, Hayden! Yes, the love scenes were really uncomfortable for me because these were actual people -- like reading a romance novel about my parents or something. Just too weird. When I heard of this book, I had semi-high hopes for it. I'm sorry to hear it's fairly typical romantic fiction. Oh, well. Charity, I know! Right? I was really hopeful. Bummer. Excellent review!! And it's a pity about the content as the cover IS so lovely.... sigh. Heidi, thanks! I know, I'm pretty disappointed. It could have been awesome -- guess that book I hoped for is still waiting to be written.